In the year 1940, the Second World War was raging. In Calcutta many people were meeting great difficulty in finding a school of a high standard to meet their requirements. They wished their boys to be trained to be good citizens in an Indian atmosphere and with Indian customs and manners. A few interested friends joined hands and the Hindi High School was founded in 1940. Shri L.N, Birla was the founder of the school. In January 1956, Late Dr. B.C. 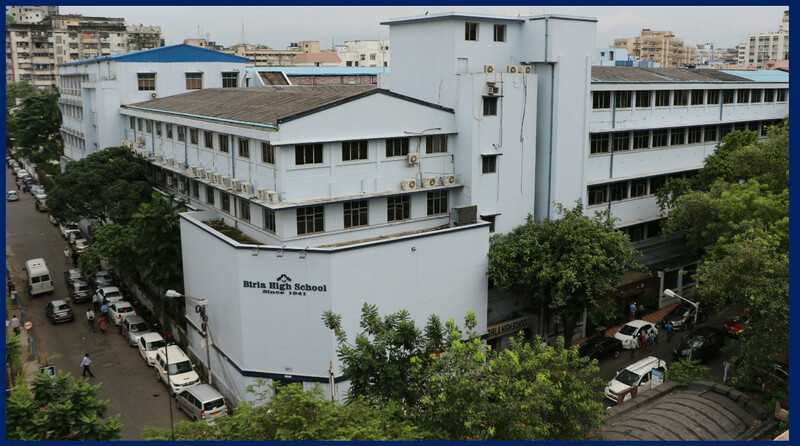 Roy, the then Chief Minister of West Bengal formally opened the new senior school premises in Moira Street. How incredible it sounds that barely 12 students joined this school at the beginning. Shri Sudarshan Birla, at present an eminent industrialist, was one of them. And now, student strength has swelled to 2444 from Nursery to Higher Secondary during this period. Post 1956, English was introduced as medium of instruction in the school. The school shifted its affiliation to Central Board of Secondary Education in 1971. Under the auspices of the Vidya Mandir Society, a registered body under the Societies Act No. XXI of 1860, the school provides education to enlighten the young minds. Over the years, our annual fest Odyssey has been unique in its own way; each different from the ones before it, each raising the bar to a new level altogether. Odyssey has that very stage where students have faced every challenge and have left a touch of magic in every performance and have time and again risen to the occasion and emerged victorious in the test of skill, ability, teamwork, leadership and battle of mental strength. Our History ....."A short clipping"